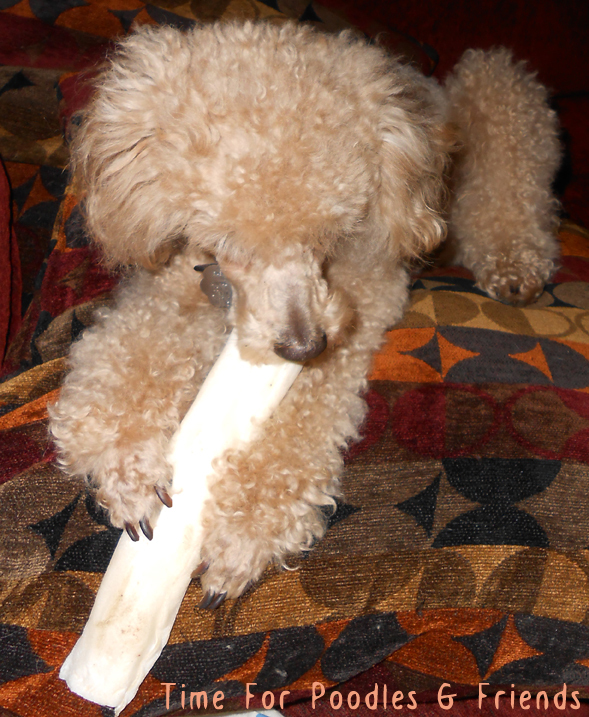 Time For Poodles And Friends: Wordless Wednesday-Got Myself A Big Chew! Just dropped by from the BlogPaws Wordless Wednesday Hop. Parental Unit almost got a standard poodle, but went to the shelter instead...this time! Nicky came from a rescue. We were lucky and got him at 16 weeks. At eight pounds, he does think he is the man! A big chew makes one happy dog! Wow, that is one big chew! That should keep you busy for a while! You would especially know that for the truth!